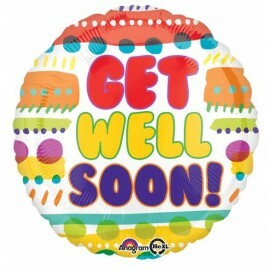 10cm Get Well Soon Smiles (Flat) Flat Foil Balloon (Requires air inflation, heat sealing and balloon cup & stick) Each..
10cm Get Well Soon Smiles (Inflated) Foil Balloon (Supplied airfilled on balloon cup & stick) Each..
10cm Get Well Soon! 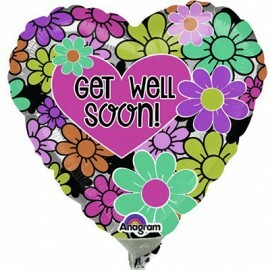 Gold & Hearts (Flat) Foil Balloon (Requires Air Inflation, Heat Sealing and Balloon Saddle) Each..
10cm Get Well Soon! 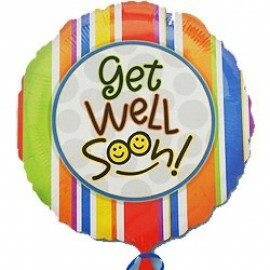 Gold & Hearts (Inflated) Foil Balloon (Supplied Air Filled on Balloon Saddle) Each..
22cm Get Well Soon! 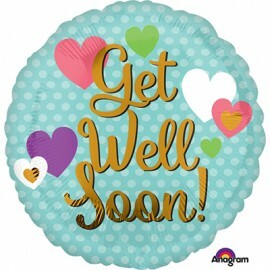 Gold & Hearts (Flat) Foil Balloon (Requires Air Inflation, Heat Sealing and Balloon Cup & Stick) Each..
22cm Get Well Soon! 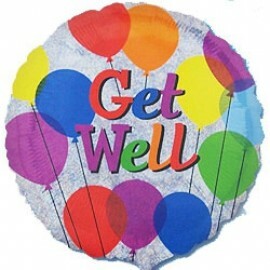 Gold & Hearts (Inflated) Foil Balloon (Supplied Air Filled on Balloon Cup & Stick) Each..
22cm Get Well Soon! 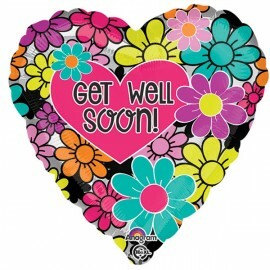 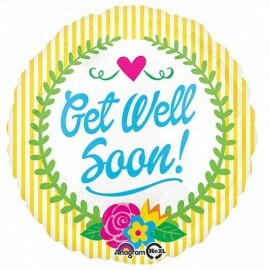 Graphic Floral (Flat) Foil Balloon (Requires Air Inflation, Heat Sealing and Balloon Cup & Stick) Each..
22cm Get Well Soon! 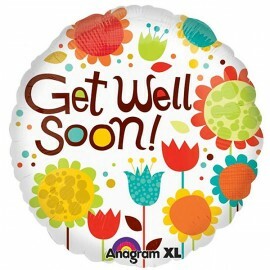 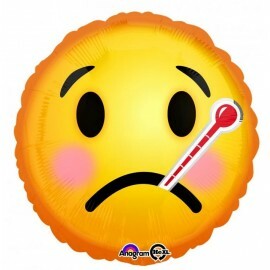 Graphic Floral (Inflated) Foil Balloon (Supplied Air Filled on Balloon Cup & Stick) Each..
45cm Emoji Face Get Well Soon & Thermometer Foil Balloon (Self sealing balloon, Requires helium inflation) Each..
45cm Get Well Balloons Colourful Holographic Foil Balloon (Self sealing balloon, Requires helium inflation) Each..
45cm Get Well Primary Assorted Flowers Foil Balloon (Self sealing balloon, requires helium inflation) Each..
45cm Get Well Soon Floral Graphic Heart Foil Balloon (Self sealing balloon, Requires helium inflation) Each..
45cm Get Well Soon Fun Patterns Foil Balloon (Self sealing balloon, Requires helium inflation) Each..
45cm Get Well Soon Laurel Flowers Foil Balloon (Self sealing balloon, Requires helium inflation) Each..
45cm Get Well Soon! 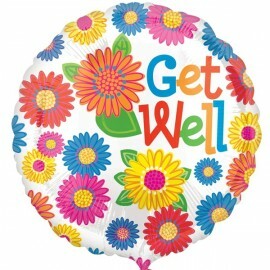 Cheery Flowers Foil Balloon (Self sealing balloon, Requires helium inflation) Each..